Create and share great content. The right way to build backlinks. – and for many small projects, being found by name on Google was enough SEO to get started. These days it’s not quite so simple, and some form of outreach and network building is definitely needed to ensure your awesome content gets seen. That’s where backlink building comes in. Don’t Panic. 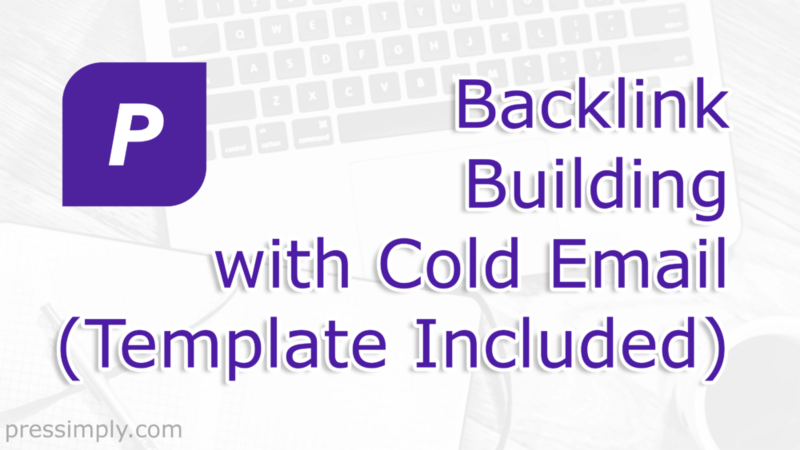 Building backlinks can be simple. Best part, it doesn’t have to be scary or difficult either. Have great content you want to share… ? What’s not to like… ? – and source contact details for the best person to chat with. A simple and effective free SaaS tool. A great way to do this is Hunter. – and enter the brand you want to connect with. Then use their Email Verifier to make sure you got the right address. Expert tip – there’s even a Chrome extension from Hunter to show you contact details for sites as your browse. Genius. – but if you’re just starting out the free plan will work just fine. Next up, just pop over to your email client and create your first cold outreach email. What to say. Template included. Provide custom context (no boilerplate stuff here). Great gifts include a trial membership, or free products and services. Or perhaps a really nice discount coupon. Be sure to make clear that this is just a small thankyou for their time in reading your email, not a bribe for providing a backlink. Top tip : Keep it brief, as this shows respect for the contact’s time and energy. Great to meet you, albeit virtually. My name is [First Name], and I’m [Job Title] at [Brand]. I also just published some content I think is really useful on [Your Topic] : [URL]. Perhaps you’d like to include a link to my content in your guide… ? Looking forward to hearing from you. Have a super day. Now the tricky bit. Hold your breath and press send. Wait, isn’t cold email illegal in Europe after GDPR… ? First up IANAL (I Am Not A Lawyer), just so we’re clear. If in doubt, always do your due diligence and make sure you’re legal. That said, most people agree that cold emails are fine, if you do them right. It’s all about intent, integrity and respect. Keep that in mind, and you can’t go too far wrong. Remember to keep a record of your cold emails, especially those that request never to be contacted by you again.